We are asking for the cost of bus passes to be covered because we know that many people say they don’t use public transport due to the cost. Depending on how much funding is allocated, this is either the start of cheaper bus travel [UPDATE: this would be for everyone!] or a precursor to the council saying “DEFRA forced us to implement a clean air zone”. The council are ignoring my calls for the draft air quality plans to be published. This is important for public accountability, particularly since the plans will have a large impact on people living and working in the city. While subsiding public transport is not the most effective way to improve air quality (according to the PHE report), it is very good at addressing social inequalities caused by further restrictions on private car use. Bus subsidies are not enough on their own, so I expect further restrictions on private car use. One point of concern is that the council mention £8 fee for entering a future clean air zone – perhaps that should be dependent on the type of fuel the car uses, and the age of the vehicle? Older diesels are quite bad for air quality. This is doubling of the World Health Organization’s previous estimates. This underscores the need for firmer action is needed to tackle air pollution. I’m going to the protest to support the climate emergency motion going through the council today. I hope it gets through without being watered down! PS Two journalists mentioned that 16 sites are above the legal limit, rather than the 4 from last year. This looks like a significant worsening. PPS I’ve just seen a new council leaflet in air pollution. “Improving traffic flows” is probably counter productive since it increases the road capacity, which in turn increases private car use. The leaflet says even with their planned measures, they won’t be doing it as fast as the government wants – or should I say as fast as the law requires (“as quickly as possible”). It seems like they are priming the public to expect a clean air zone. This could be good if they do it well and target the most polluting vehicles. 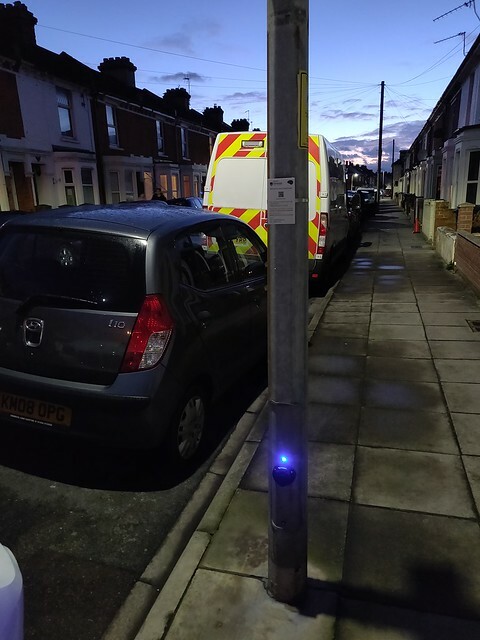 PPPS An electric charging point has appeared in a lamp post near my house! The scheme is called SimpleSocket and has a ubitricity logo. This is great news! Cheap (or even free!) public transport would be a massive win, especially for improving social equality, but a clean air zone would be amazing for public health, and the environment!